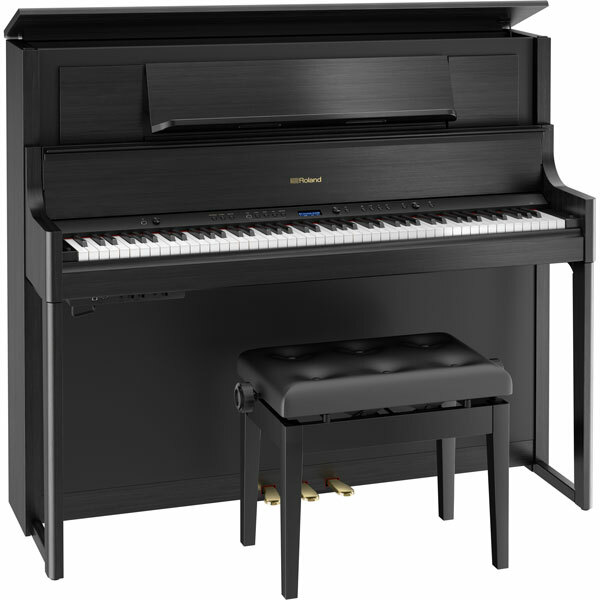 Roland LX708 charcoal black. 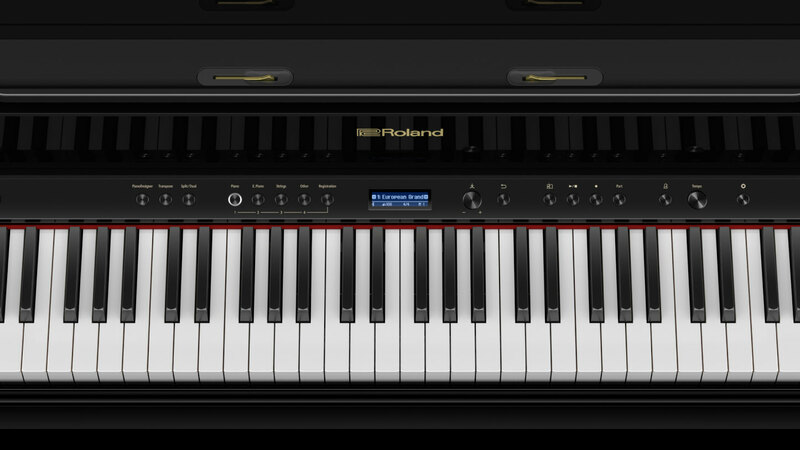 Free delivery and Roland ten year warranty. 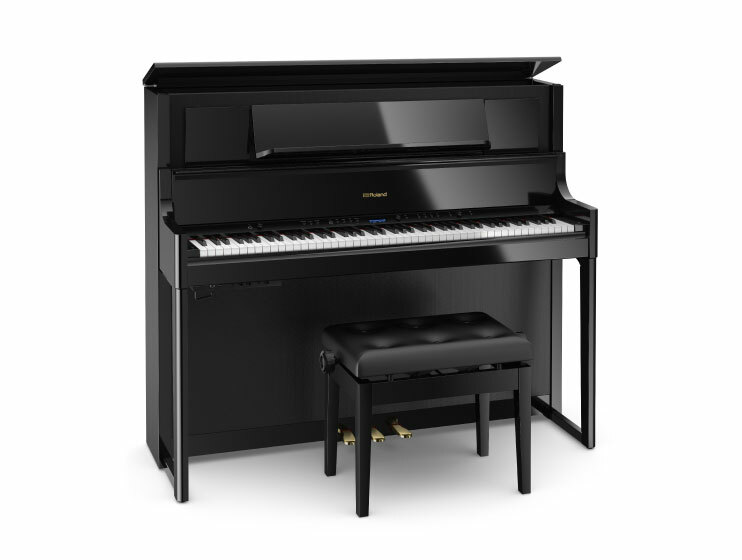 As the flagship of Roland’s LX700 series, the Roland LX708 recreates all the pleasures of playing a traditional grand piano in a great live venue. 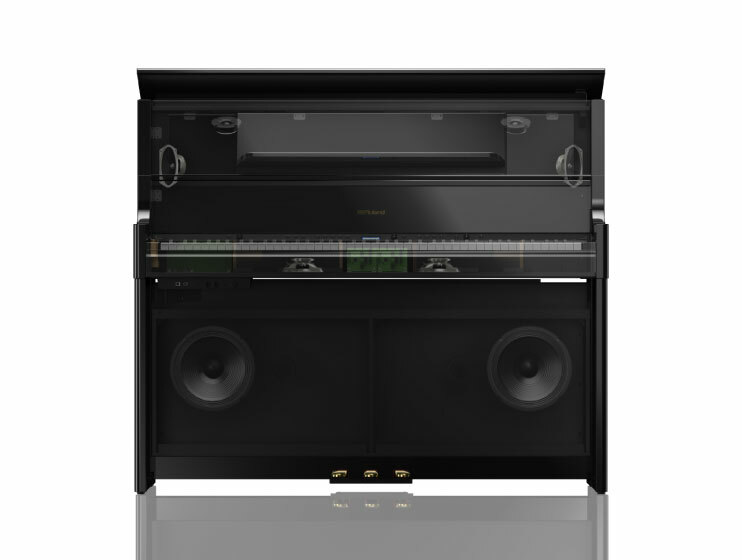 Standing out among the LX range with its tall, commanding cabinet and a lid that opens for optimum sound projection, this luxurious instrument makes a bold statement in your home. 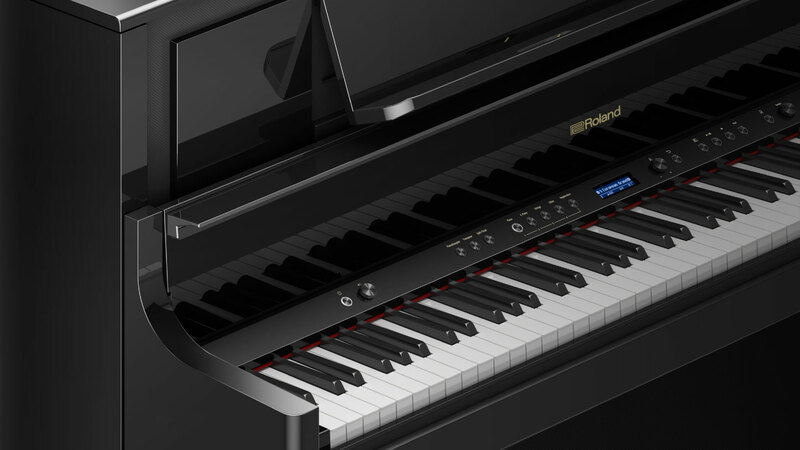 And with its powerful eight-speaker system ready to fill your home with music, the Roland LX708 is the ultimate choice for discerning players. There’s no mistaking the Roland LX708. 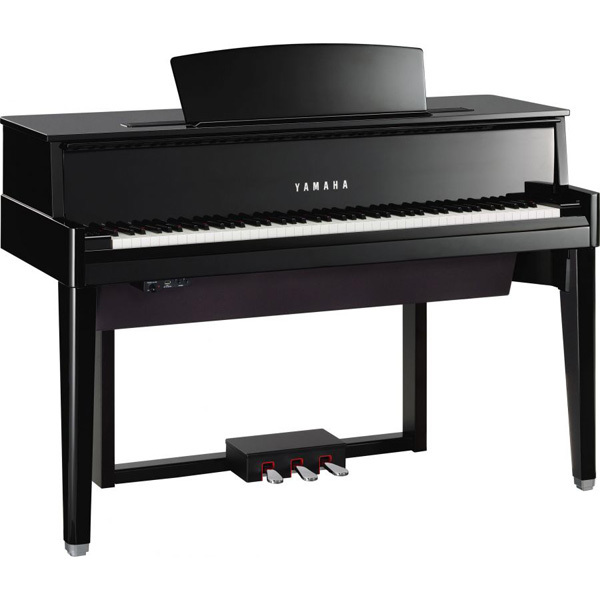 Standing out from the LX series with its taller cabinet, one-piece side panels and an openable lid that reveals a subtly different tonal flavour, this luxurious flagship model is designed to draw your gaze and attract your fingers. 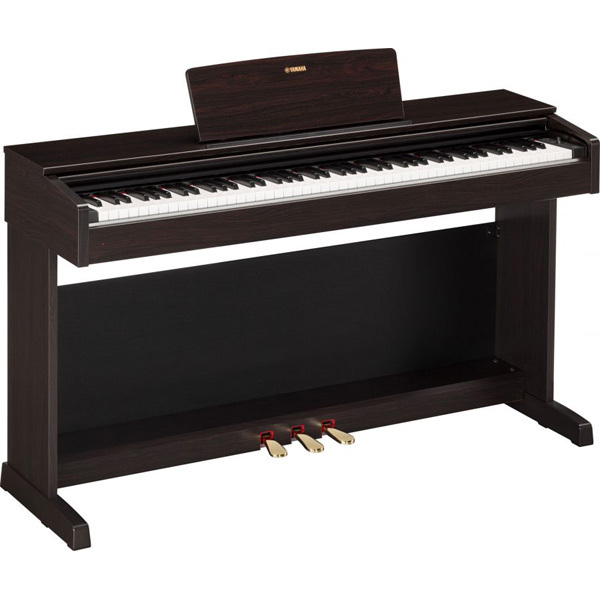 Classic and timeless – but with a twist – it’s an instrument that makes a strong presence in any room, without shouting. Available in polished ebony, polished white and charcoal. 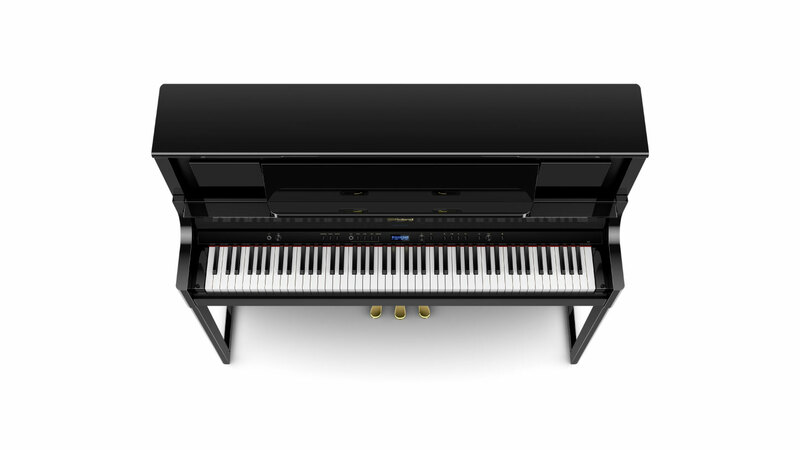 Every key on the LX708’s Grand Hybrid keyboard is longer than on typical digital pianos; the extra length means the pivot point sits further back, so less pressure is needed to depress each key – and your hands won’t grow tired when playing over longer periods. 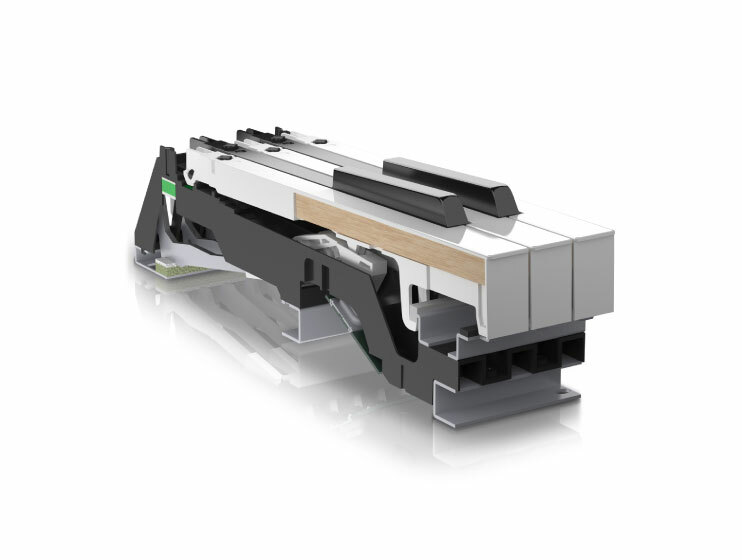 The white keys combine sleek wooden sides with a durable inner frame for maintenance-free reliability. And when playing, you’ll feel the ideal balance of pressure, momentum and return movement, along with smooth vertical travel. 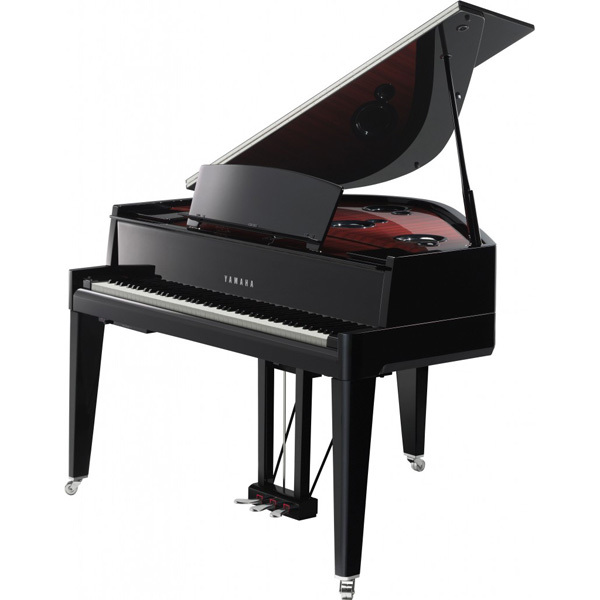 The premium Roland LX708 even reproduces the physical vibrations that resonate through a grand piano’s keyboard, while the addition of pedals that enable a variety of advanced techniques makes this an authentic and thrilling piano experience. 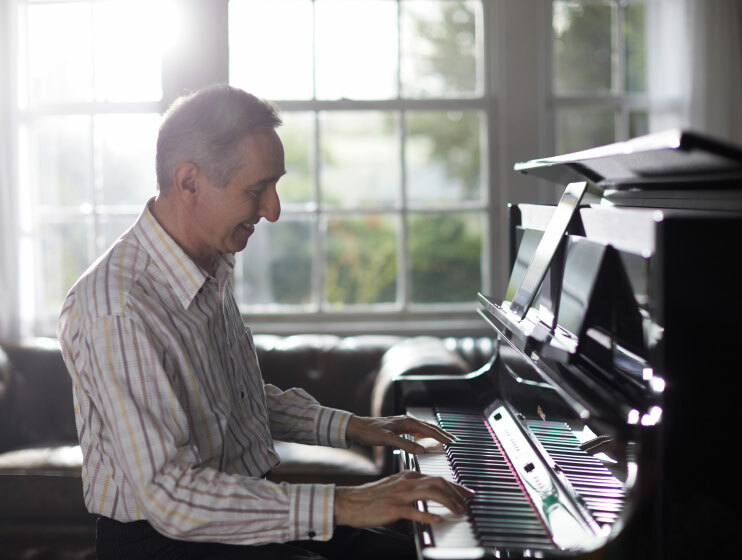 One of the thrills of playing a concert grand in a great venue is how the sound seems to fill the room – so it’s frustrating if your home piano sounds small and lifeless by comparison. 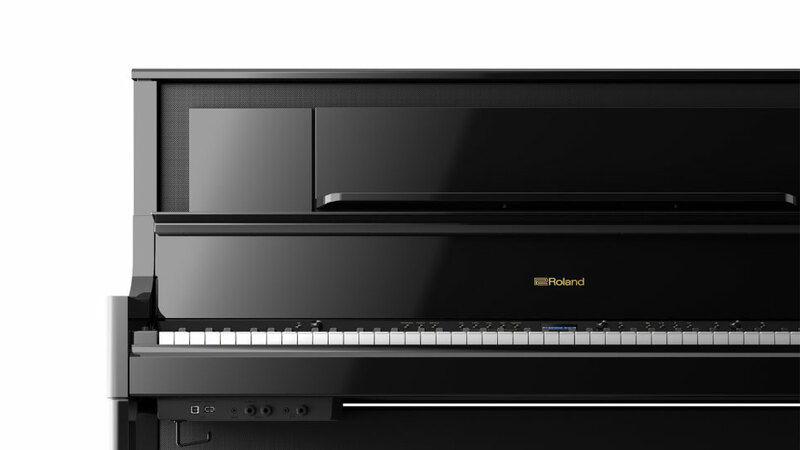 The flagship Roland LX708 features the most impressive Acoustic Projection System in the range, with a four-way, eight-speaker setup driven by a powerful amplifier. 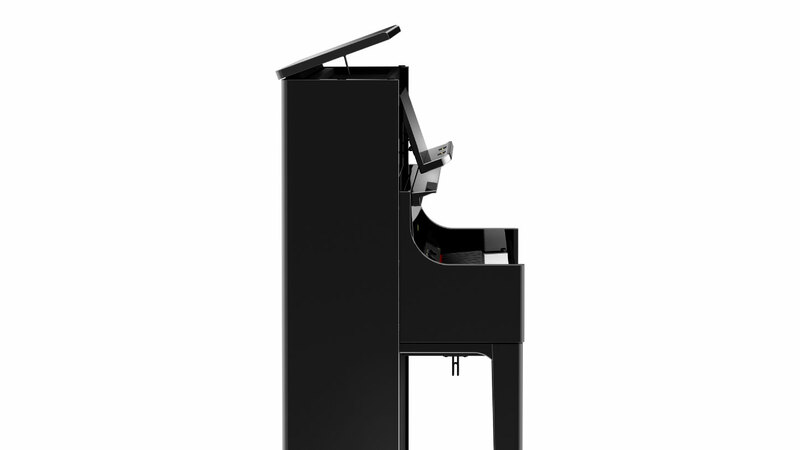 The eight speakers are split into four pairs, with each pair optimised to deliver superior sound reproduction across the piano’s dynamic range – even down to the noise as the hammers strike the strings, or the resonance of the cabinet as the sound reverberates through the piano’s body. 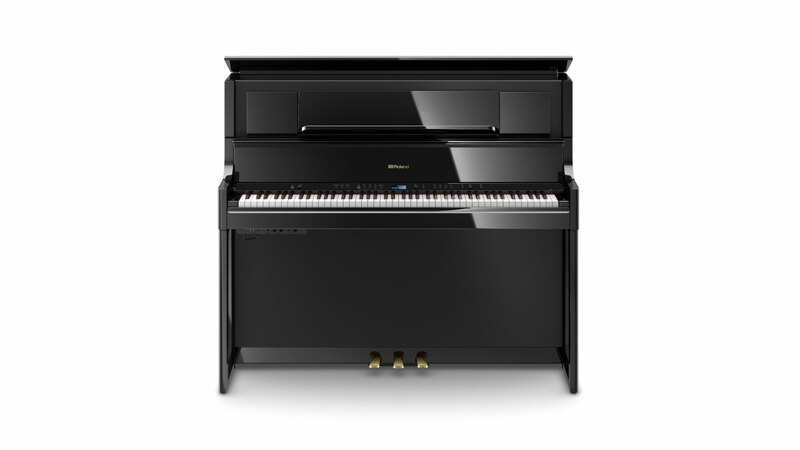 When you want to fill your home with rich piano sound, the LX708 is the ultimate choice.